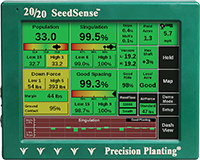 20/20 SeedSense provides clear information about population, skips, doubles, speed, row unit ride, down force and ground contact. The color-coded touch screen display monitor enables you to seed precisely, maintain depth, avoid compaction and troubleshoot mechanical problems. 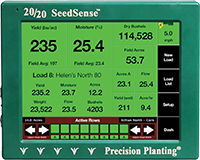 20/20 SeedSense is the most precise monitor available. FieldView is a portable iPad-based system that transfers information from your SeedSense and conveys it through instant, high-definition maps. This allows you to manage your planter with a complete overview of your planter’s functions. 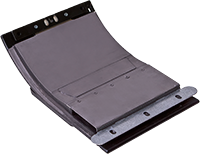 FieldView is compatible with all Precision Planter products and offers instant access to program updates. Get alerts in real time alerts, metrics and reports by field, planter and hybrid anywhere. FieldView Plus automatically syncs field pins (including notes and photos), client/farm/field lists and field map data. File transferring and sharing is has never been faster, easier or more accurate. Real time yield by hybrid reports, wireless data sharing between combines, and a Grain Property Kit to keep the system accurate, YieldSense gives you the tools you need for better decisions at harvest and beyond.